SOAK has today released a video for ‘Déjà Vu’, the lead single from her anticipated second album Grim Town, which will be released on April 26th on Rough Trade Records/Remote Control. ‘Déjà Vu’ is a further window into SOAK’s hugely-accomplished second album Grim Town, which follows the success of Bridie’s multi-prize-winning 2015 debut album Before We Forgot How To Dream. Its central premise, says the still-just-22-year-old, is “a dystopia that I’ve created in my brain: me on the inside, processed into a pretend location. 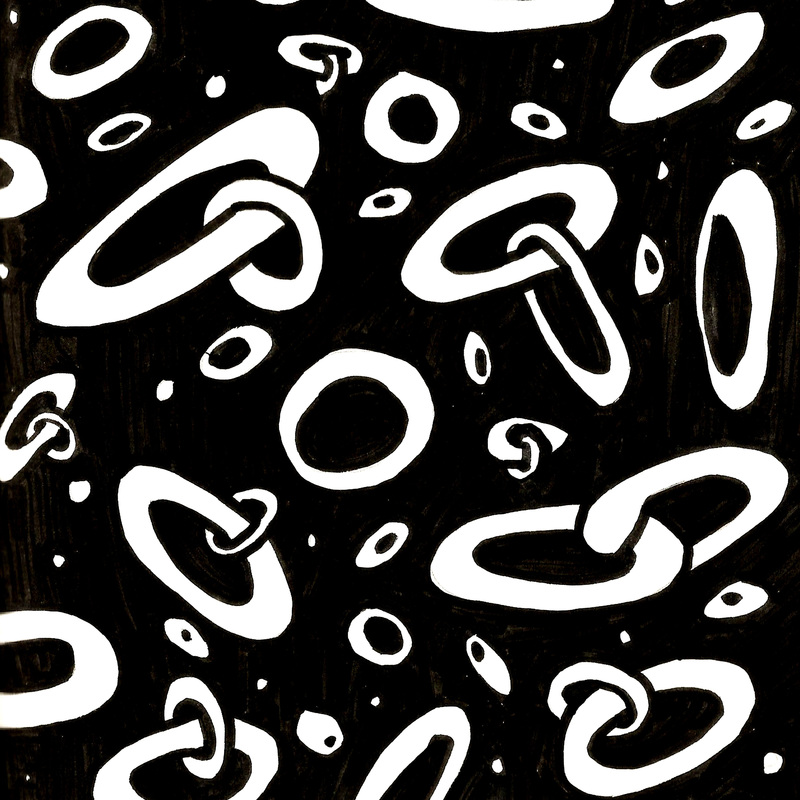 The way I could wrap my head around a lot of what I was going through was to make it feel like something quite physical and real. Once I had the idea of the album being an actual location, exploring the dynamics of this town and what it would look or sound like felt like the right way to give my mental state a personality.” So if Before We Forgot How To Dream was conceived as a time-capsule of innocence, vividly capturing those moments in adolescence when anything felt possible, Grim Town perhaps examines the reality of what happens next, after you enter adulthood (but actually feel more in crisis than ever), and the world around you isn’t what was promised to you or your generation. A record about getting lost that you can, also, truly get lost in, Grim Town sees Bridie tackling everything from long-distance love, depression, divorce and social anxiety to the changing modern landscape (sexually, politically, emotionally) with unflinching honesty. An acceptance of the jumble of emotions that makes you ‘you’ emerges as the ultimate message of the album, with its suitably placeless universe in which everybody’s personal Grim Town looks different, but everybody’s matters. SOAK has today unveiled beautiful new track ‘Valentine Shmalentine’, which is available now. Together with new single ‘Knock Me Off My Feet’ and returning track ‘Everybody Loves You’, ‘Valentine Shmalentine’ is taken from Bridie’s much-anticipated second album, Grim Town, which will be released on Rough Trade / Remote Control on April 26. 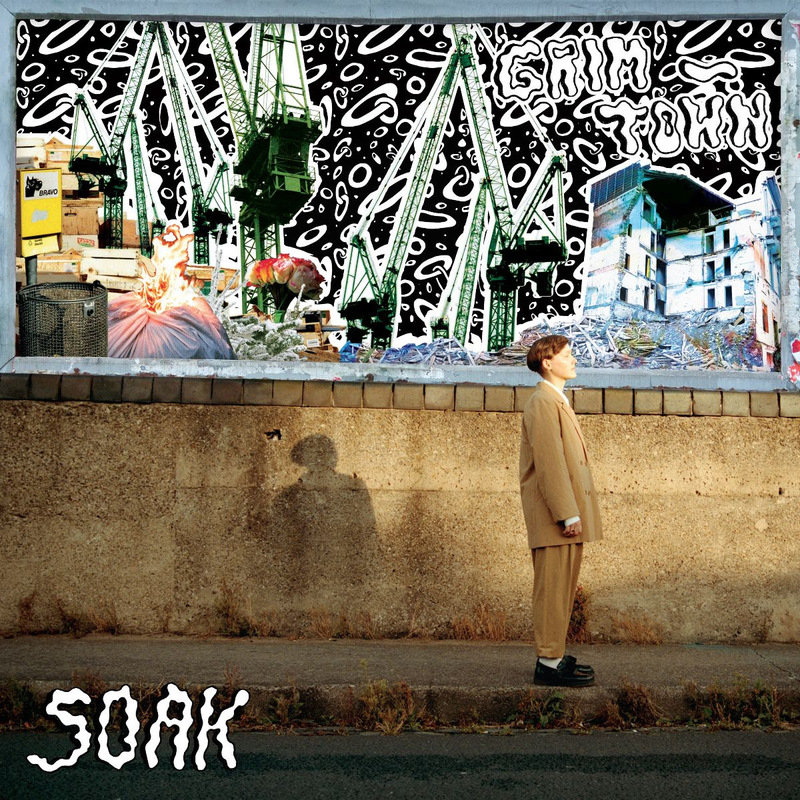 Grim Town follows the success of SOAK’s multi-prize-winning debut album Before We Forgot How To Dream, and an extraordinary period of invention and self-discovery for the still-just-22-year-old Derry native. The central premise of Grim Town, says SOAK, is “a dystopia that I’ve created in my brain: me on the inside, processed into a pretend location. The way I could wrap my head around a lot of what I was going through was to make it feel like something quite physical and real. Once I had the idea of the album being an actual location, exploring the dynamics of this town and what it would look or sound like felt like the right way to give my mental state a personality.” So if debut album Before We Forgot How To Dreamwas conceived as a time-capsule of innocence, vividly capturing those moments in adolescence when anything felt possible, Grim Town perhaps examines the reality: on what happens next after you enter adulthood (but actually feel more in crisis than ever), and the world around you isn’t what was promised to you or your generation. A record about getting lost that you can, also, truly get lost in, Grim Town arrives as inspired by the audio-visual environmentalism of Pink Floyd’s ‘The Wall’ as the production of Arcade Fire, Broken Social Scene or Phoebe Bridgers. With unflinching honesty, Bridie tackles everything from long-distance love, depression, divorce and social anxiety to the changing modern landscape (sexually, politically, emotionally). And it’s accepting the jumble of emotions which make you ‘you’ that emerges as the ultimate message of Grim Town, with its suitably placeless universe in which everybody’s personal Grim Townlooks different, but everybody’s matters. SOAK has today announced details of her much-anticipated second album, Grim Town, as well as unveiling new single ‘Knock Me Off My Feet’. Also featuring beautiful returning track ‘Everybody Loves You’, Grim Town will be released on Rough Trade Records / Remote Control on Friday 26 April. Grim Town follows the success of SOAK’s multi-prize-winning debut album Before We Forgot How To Dream, and an extraordinary period of invention and self-discovery for the still-just-22-year-old Derry native. The unique but universal world of Grim Town is tantalisingly introduced today in new single ‘Knock Me Off My Feet’ – a love letter to the lawlessness and freedoms of small-town culture, as well as its more claustrophobic, cut-you-down-to-size qualities. 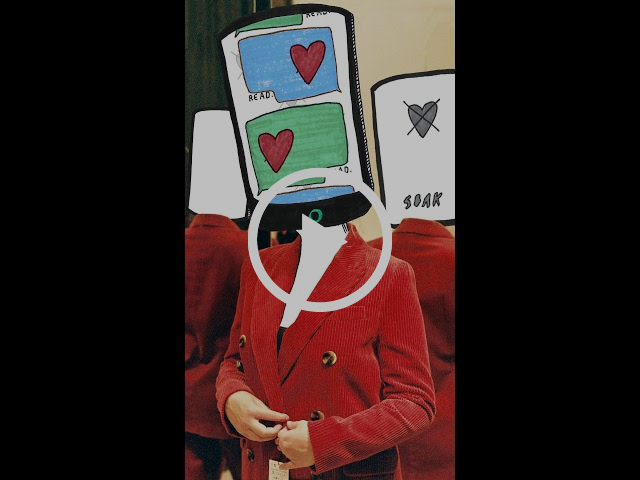 It’s about the idea too, says Bridie, that “you can be the best person to yourself, and the worst person to yourself”, a theme which is explored intensely acrossSOAK’s ambitious, eclectic and brilliantly brave second album, Grim Town. 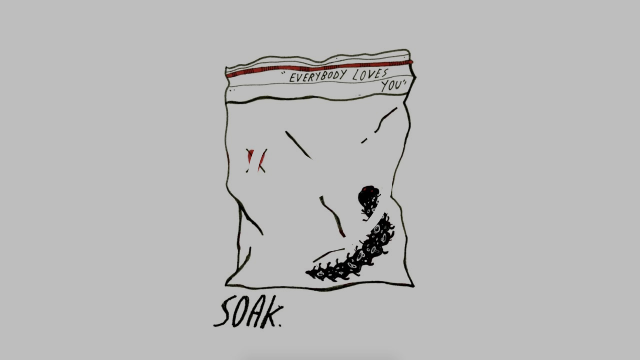 SOAK has today premiered the video for her acclaimed new single ‘Everybody Loves You’ via NPR.The song first aired as Annie Mac’s Hottest Record in the World on Radio 1 and Bridie also performed the track for the first time on Ireland’s prestigious Late Late Show. 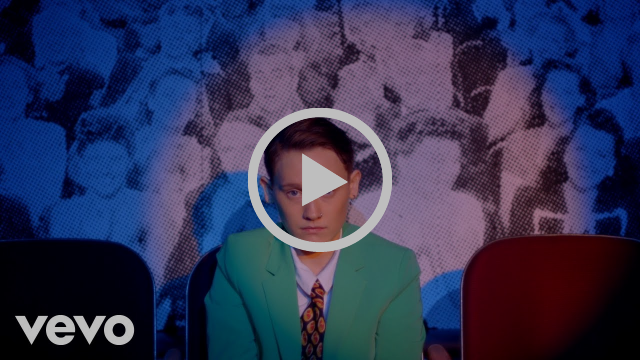 The video to ‘Everybody Loves You’ offers a window into the tightly-constructed world of SOAK‘s second record, and also an unflinchingly-honest portrait of where Bridie (and, indeed, many of her generation who love easily, but struggle to love themselves) now arrive. Here is an artist often hypothesising over the future whilst simultaneously looking back to the past for answers to The Big Questions – on what happens next, when you have supposedly grown up and moved on; on how possible true change (internal, external) ever really is; and, perhaps, remembering those things that matter and you take with you always, as you embark on another adventure.